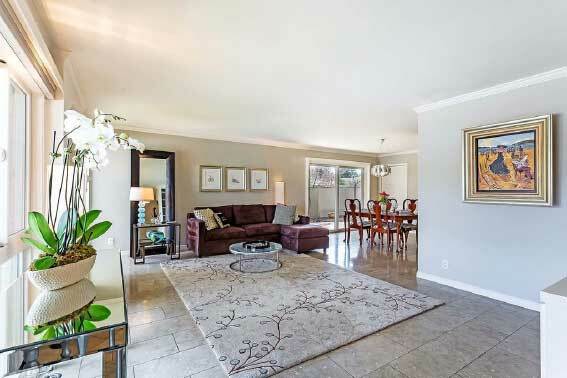 Luxurious and Beautifully Updated Home in Los Altos. 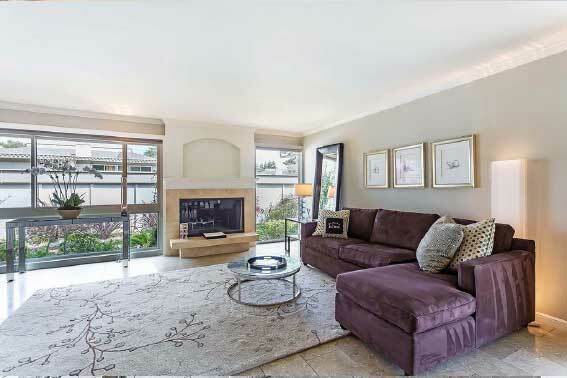 This single-story end-unit townhome is nestled in a tranquil corner of Los Altos and features 2 bedrooms and 2 bathrooms in 1,444 sq. ft. of living space (per county records). The home has been lovingly maintained and has an open and inviting floor plan that boasts custom designer upgrades and plenty of natural light. Enjoy cooking in the elegant French country kitchen that includes granite countertops, custom cabinets, and high-end appliances. The master bedroom features custom hallway closets, a patio, and an en-suite bathroom highlighted by Carrara marble, skylights, and a separate shower and bathtub. The second bedroom, which also has an en-suite bathroom, includes entry to a tranquil low-maintenance patio garden flanked with flagstone and a lush lemon tree. Other fabulous features of this home include gleaming hardwood floors, high-end stone floors, plantation shutters, recessed lighting, skylights, interior laundry (washer and dryer included), radiant heating, plenty of storage, a 2-car garage, and much more. 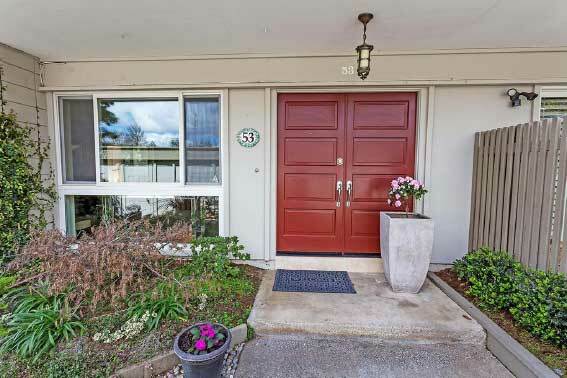 Current HOA dues are $640 per month. Enjoy living in Los Altos Square, a serene community with mature landscaping, 3 swimming pools, saunas, and a community clubhouse. A wealth of nearby amenities including Whole Foods, Trader Joe’s, Sprouts, the Village at San Antonio Center, and much more are nearby. 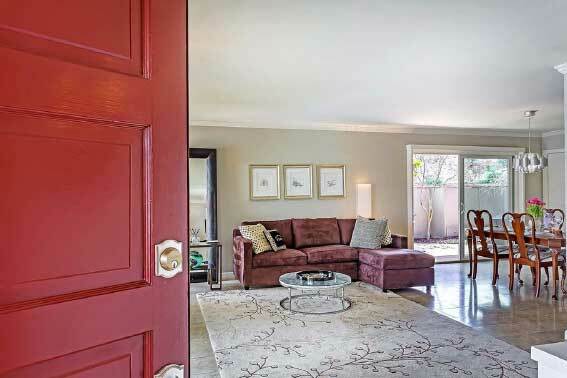 With a Caltrain station less than a mile away, commute up and down the Peninsula with ease. 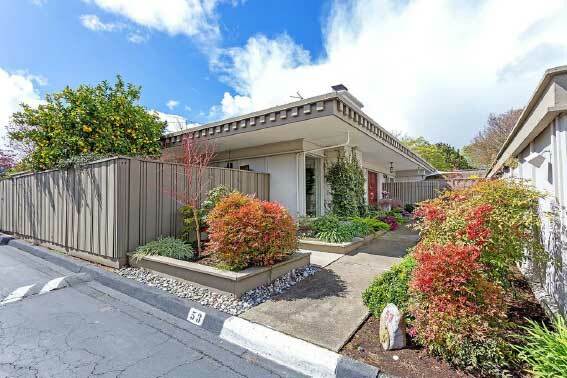 You are just minutes away from downtown Mountain View, downtown Los Altos, and major freeways. Enjoy excellent Los Altos schools: Almond Elementary, Egan Middle, and Los Altos High (buyers to verify).